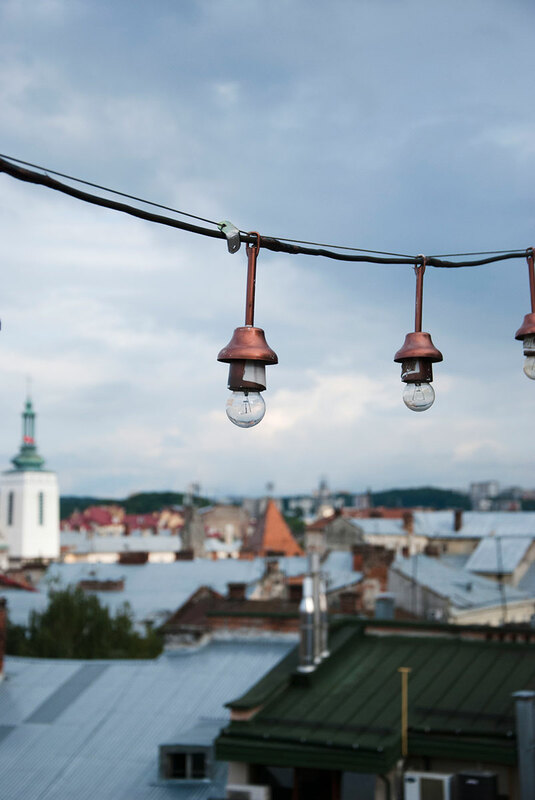 Let’s visit some rooftops. 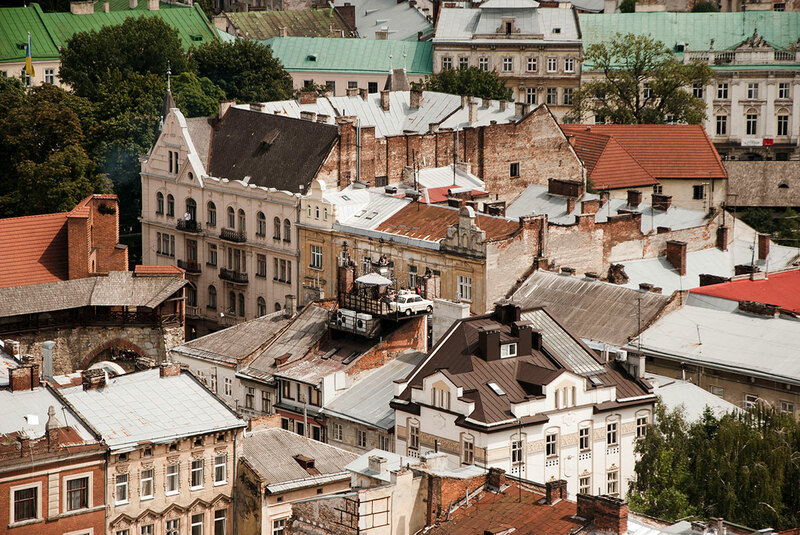 Rooftops of Lviv, to be precise. It’s actually a popular tour you can book in the city. 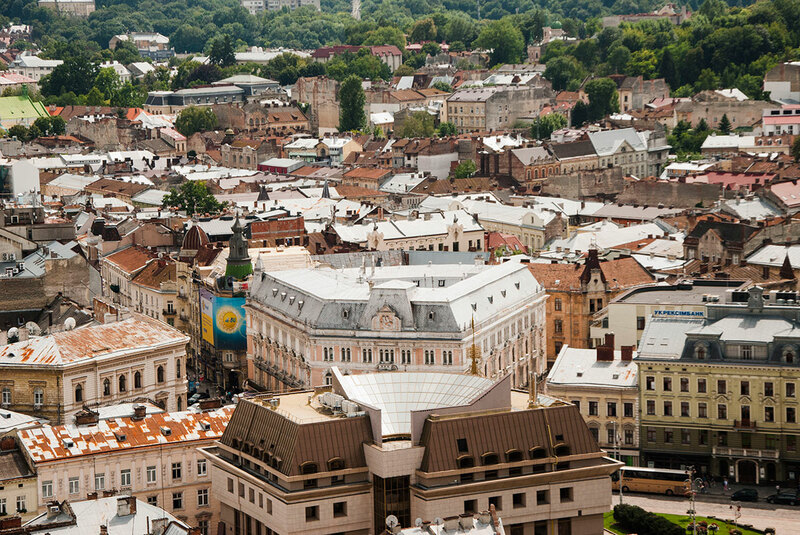 As popular as underground Lviv. 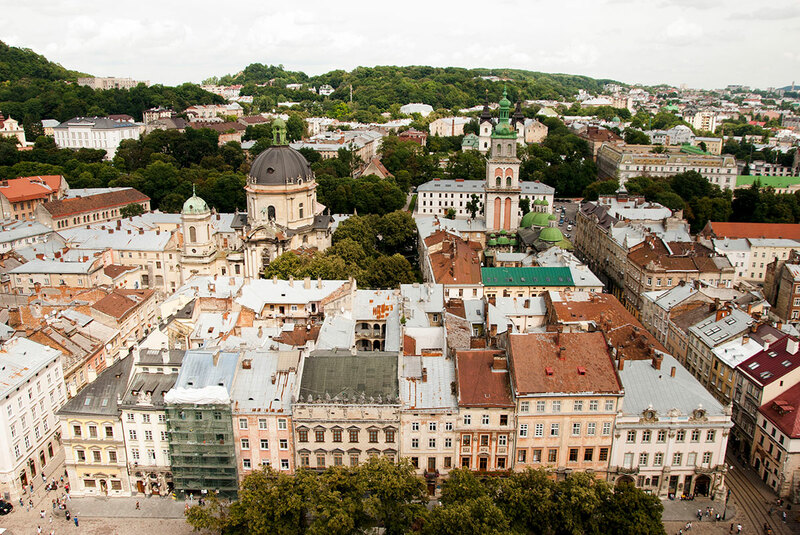 When I came back home, I realized that actually, I did my own Lviv rooftop hopping. Feel free to get inspired! Let’s start from the middle. Well, from the center. 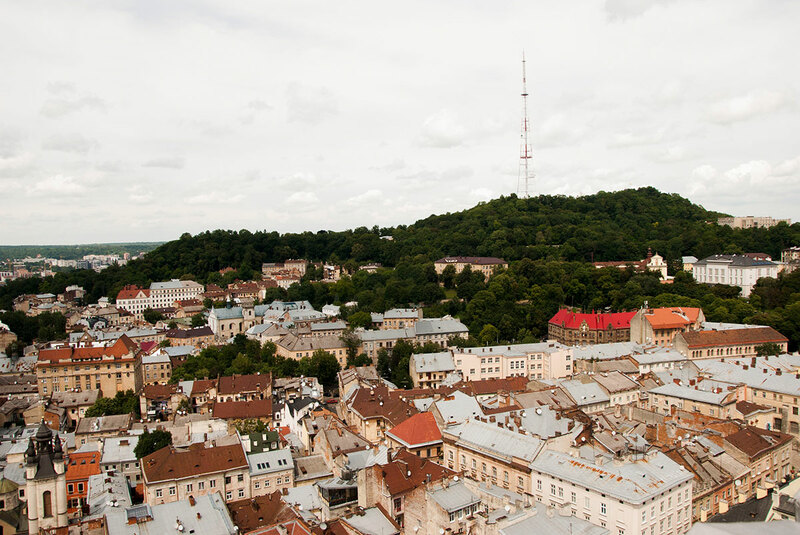 The center of Lviv, aka the city hall and its’ tower. It’s an experience and I’m not talking only about the views. To get to the tower you walk down the city hall corridors, where you can bump into staff doing their everyday job. 300 steps later you’re at the top. You can see Vysokyi Zamok (High Castle) without a castle. It’s missing since the end of the 18th century. Turn to the left and you can see the Armenian district with the Armenian Church and Armenian Street. Turn left again and you can see Prospect Svobody (Freedom Avenue), my favorite Galicyjska Kasa Oszczędności and pink Hotel George. 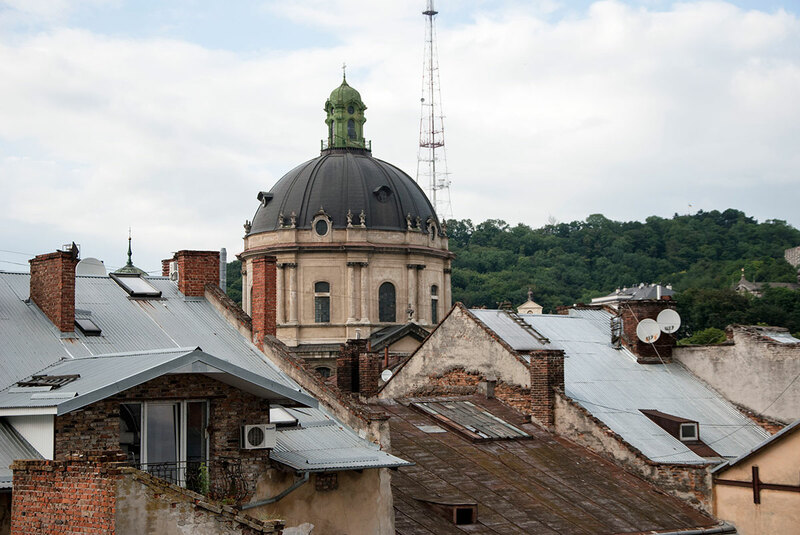 From the amount of pictures, you can tell that this is my fave from the “Rooftops of Lviv” list. 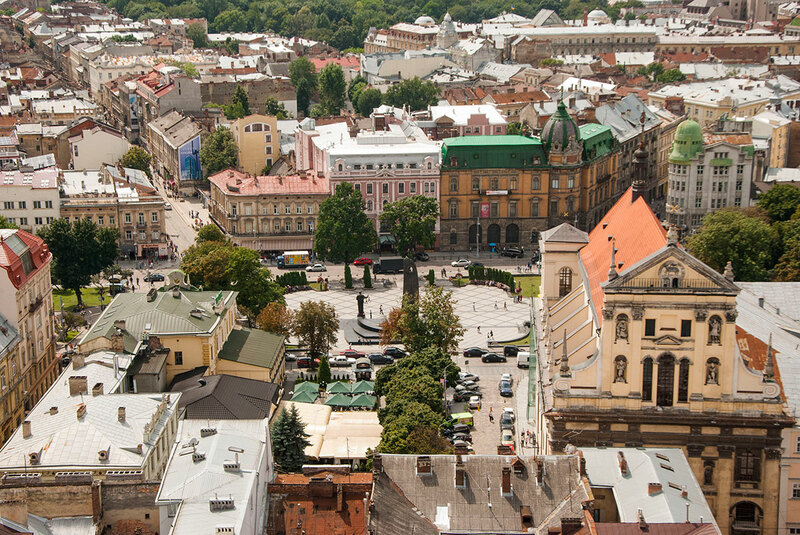 It’s probably on each must see/must do lists of Lviv. It’s a coffee place which takes the whole building and it’s full of local legends. Each part is dedicated to a different story. 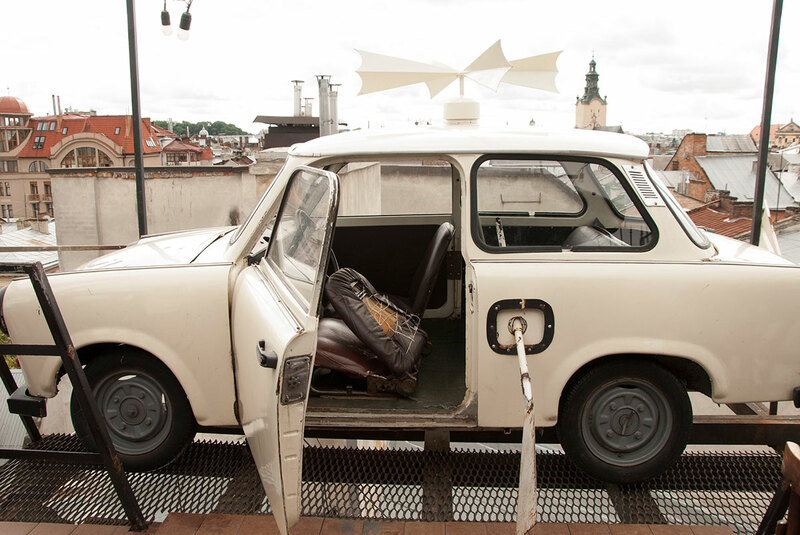 But let’s face it – people mostly come here for the rooftop and a Trabant. Yes, there’s an actual car on the rooftop. But the views are pretty cool too. 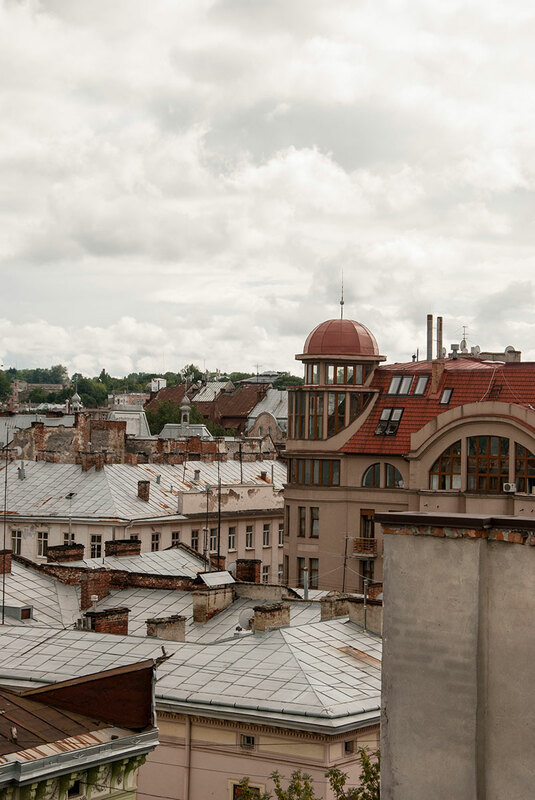 Next one on my list: Lviv Handmade Chocolate Factory. With a peculiar staircase. You go up and down and up and down and up and down and up and you’re still going up. And you reach the rooftop. It’s a chocolate place so you can imagine how crowded it gets. Fresh air is a blessing. But just for a moment, because let’s face it: everyone goes to the rooftop. 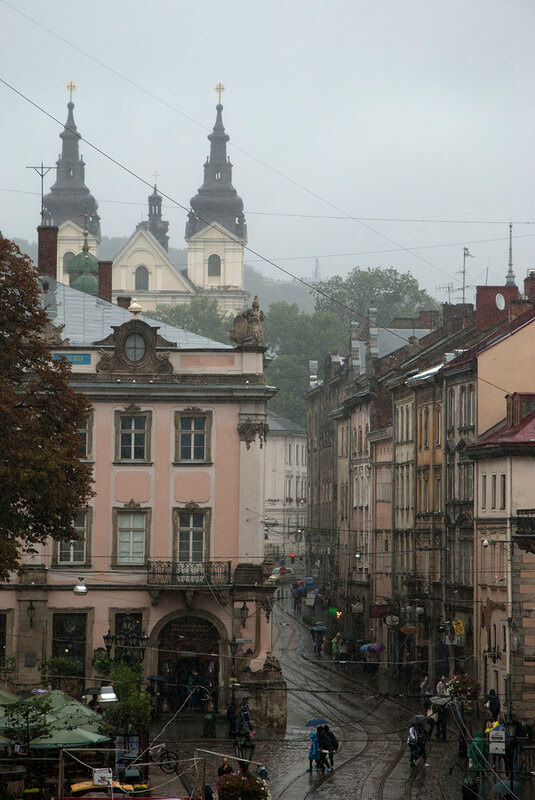 Yes, this is a rainy day in Lviv (btw, go to the Coffee Mining Manufacture, they have an amazing coffee called “Rainy Day in Lviv”) and on a rainy day like this, all you want to do is hide in a museum. Museum of Galicia was terribly boring, but there was an open window with this cool view. And it wasn’t raining inside, so not a bad deal for a bit over 1 USD. Once again, it’s not a rooftop, it’s a hill. But there are views from above, so once again it works. All that was left from the castle is a tiny part of a wall. 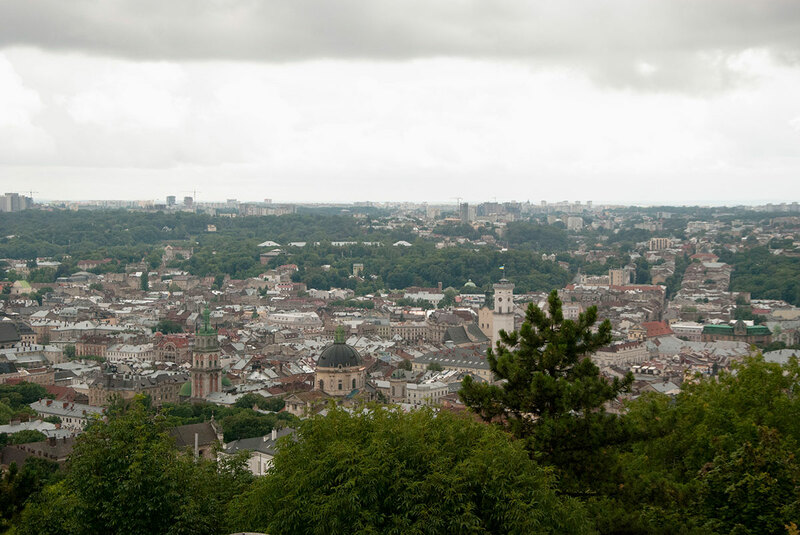 Instead, you can enjoy an uphill walk and enjoy the panorama. Or not really if the weather is awful and it starts raining again. 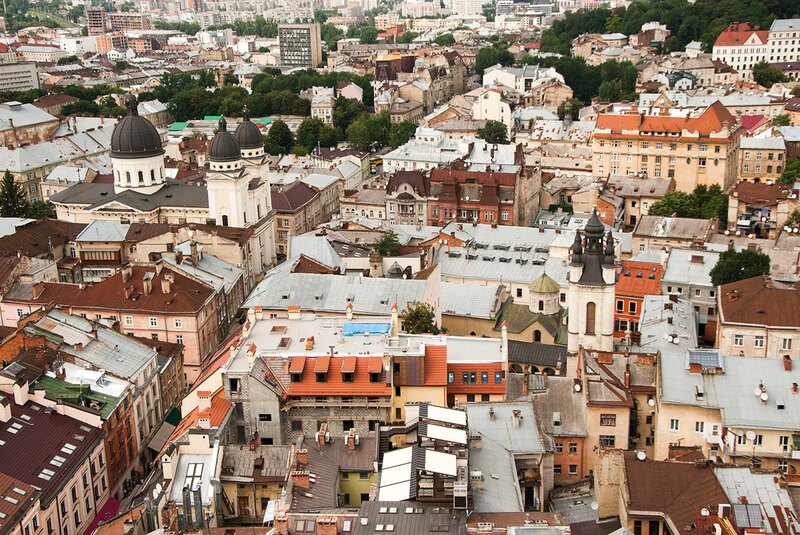 At least you can see how big Lviv really is.